Slim Aarons is famous for his photographs of the jet set at play in the 50s-70s. When the character Monte Beragon, from the 1945 film Mildred Pierce, is asked what he does, he replies, "I loaf in a decorative and highly charming manner." Aarons captured the lives of such decorative and charming loafers. And, let's face it, loafing charmingly is a perfectly agreeable way to spend time. 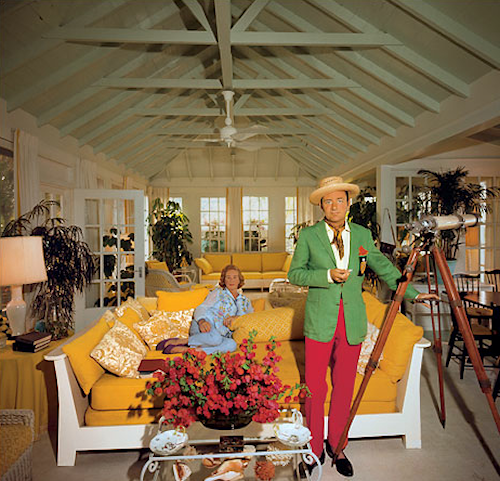 Slim's photographs are collated in books such as Poolside with Slim Aarons [Amazon] and Slim Aarons: A Place in the Sun [Amazon]. Our favourite photograph has to be the one above of Palm Beach habitué Clifford Klenk and his wife found in A Privileged Life: Celebrating Wasp Style [Amazon] by Susanna Salk on Assouline. Zounds, that's a summer outfit. Worn with aplomb, sir. We Brits may not get the sunshine for a full-on 'Klenk' all summer long, but surely we owe it to ourselves and this proud nation of ours to have a little 'Klenk Kit' on standby ready to 'do a Klenk' when the sun does reveal itself? Or if the clouds fail to part we could all just head to Palm Beach - temperatures never drop below 18.0 °C at any time of the year. Tweedy's Confession: I can't find much (any) current information on Clifford Klenk. He's still knocking around Palm Beach and concerned with matters of dress. 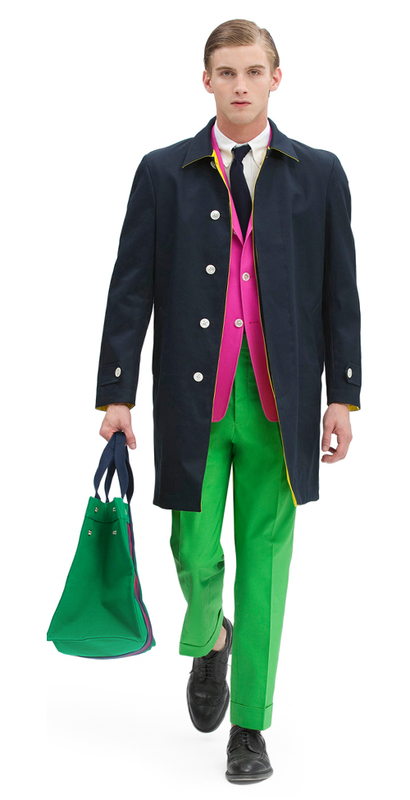 The Savile Row tailors Huntsman are mentioned against his name. I imagine his wardrobe could tell some tales. And it's never been easier to do a Klenk than this year. 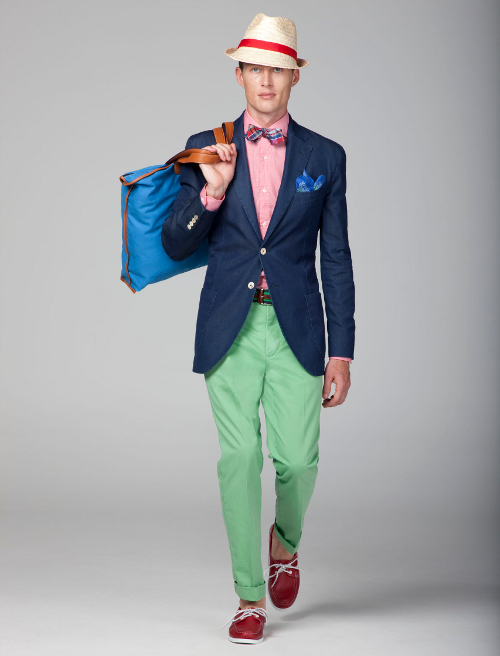 Take a look at the offerings from Brooks Brothers and Hackett below to take a few ideas from. Grab a few pieces now before these bright colours drift away from the designers' palettes and Mr Klenk is taken down from their mood boards. And wait for that sun to shine.